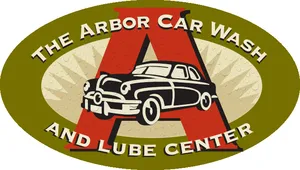 The Arbor Car Wash and Lube Center logo. One of the biggest challenges for busy consumers is finding the time to get their car detailed. Sure, they can make an appointment in advance, but that requires forethought, and a few hours without their car. But what if there was a way to combine the speed and spontaneity of a car wash with the results of a top-tier, full-service detail? David Swenson has found a way to do just that. The 30-year car wash veteran and owner of Arbor Car Wash and Lube Center in Austin, TX just unveiled a new concept at his fourth location that has the potential to revolutionize the detail industry. 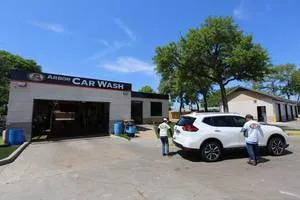 The newest Arbor Car Wash features three exterior hand wash bays where customers can get anything from a monstrous dually pickup truck to a late model Ferrari washed without the fear of damage to their vehicle. After getting their car washed by hand, they can either exit the site or opt to send their vehicle down the full-service detail tunnel and get both the interior and exterior of their automobile detailed at breakneck speed. The 90-foot flat belt detail conveyor. The detailing tunnel features a slow-moving AVW belt conveyor and a host of detailing technicians trained to not only turn out a high-quality product, but to do it quickly. 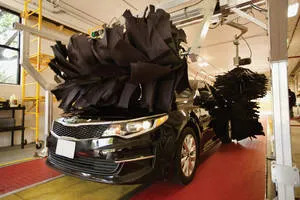 Once the vehicle is on the conveyor, four detailers assault the interior of the vehicle, each vacuuming, cleaning, and protecting one quadrant of the interior. 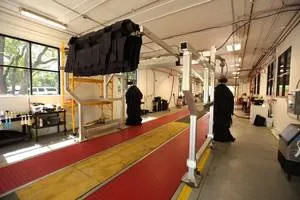 As the car moves down the conveyor at five feet per minute, it inches toward the final step of the tunnel: an automated polisher that buffs the exterior to a fine finish. The innovative concept has been a hit with customers since the wash opened in February and continues to grow in popularity as word spreads throughout the city. The fast detailing tunnel concept was the brainchild of Swenson, who was in search of a way to compete with the growing express exterior concept without turning his back on his full-serve roots. Swenson’s invention was not designed to compete with the express exterior, but rather to fill the gap created by it. Loyal express exterior washers are accustomed to a quick, affordable, and convenient experience, and pride themselves on having a clean and shiny car. But how can they keep their interior clean? They have to either deal with a dirty and dingy interior or do the upkeep themselves. Arbor provides an alternative. A no-appointment needed, full-service detailing experience that caters to the busy, yet discerning car owner. Arbor’s detailing tunnel is a complementary service to the exterior craze. Consumers can stop in at Arbor when they need a thorough cleaning in and out and continue to use exterior only washes for in-between detail upkeep. While the business and customer-facing benefits of the new model are abundant, there is another major advantage: happy workers. Operating in the sun and heat of central Texas can be oppressive in the summer, sapping workers of productivity and putting them at risk of heat-related sickness. The new work environment keeps detailers out of the sun, shielding them from the unbearable heat and allowing them to focus on one thing — detailing cars. In addition, moving the detailers inside to a controlled environment has opened the doors to a lucrative revenue stream that has helped the new venture hit the ground running. Swenson has struck deals with some local car dealerships to do their prep and detail work. This wholesale work is accounting for the majority of Arbor’s car counts in the earlier going and helps keep the detail conveyor rolling all day long. While the dealership work is accounting for a large portion of Arbor’s revenue in the early going, Swenson hopes to scale back the wholesale projects as the retail business takes off. Start to finish the average detail, including a stop at a hand wash bay takes around an hour. Retail pricing starts at $185 and can go north of $300 for full-size dually pickup trucks. For their wholesale work, Arbor charges the dealerships $120 if they pick up the vehicle, $100 if the dealer drops it off. Currently, the mix of wholesale and retail work is producing an average detail ticket of around $150. The lube center is one of the busiest in the region. As a long-time, full-serve tunnel operator, Swenson is no stranger to high labor costs, but the new automated detail concept takes payroll to a new level. Labor spend eats up about 50 percent of every detail, including management costs. After a little trial and error, Swenson thinks he has solved the labor question. He has nine detailers and seven or eight car washers on site each day. The detail tunnel’s current capacity is around 40 details per day, with an additional 75 hand washes. 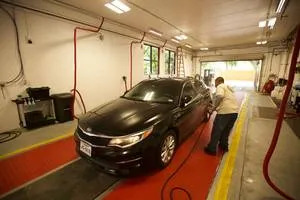 While the new hand wash/automated detail center that now occupies the space will never produce those kind of car counts, that is not the goal. The goal is to provide a competitive detail product at superior speed, and cater to those wash customers that crave a higher level of clean but are unable or unwilling to frequent a traditional full-serve detail center. Swenson and his team are doing just that.